Do you need some head to ankle gift ideas? Leatt can help. Oh, and you can win all of this stuff. 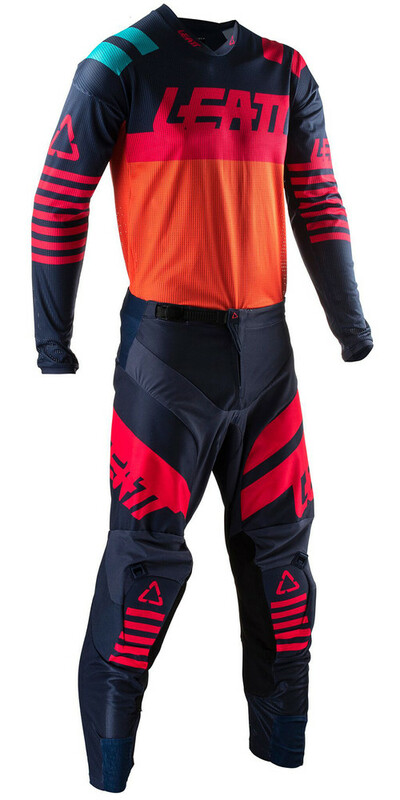 Next up is a full set of GPX gear from our friends at Leatt, that includes the 4.5 Orange X-Flow Jersey ($34.99) and Pant ($119.99), 1.5 GripR Glove ($24.99), and GPX 3.5 helmet ($179.99). The Leatt GPX 4.5 X-Flow jersey is perfect for those super-hot days, constructed from X-Flow mesh fabric that makes it super-vented and lightweight while offering MoistureCool wicking. Designed to be worn with or without body armor, and the collar works with or without a neck brace, it offers a more relaxed fit compared to their race-tight factory 5.5 jerseys. Additional comfort is provided by overlocked stitched seams and a silicone grip pant connector. Leatt’s GPX 4.5 Pant has a pre-curved performance fit and now also has a lighter, more breathable construction. Ripstop four-way stretch and X-Flow mesh panels keep you cool and comfortable. The seat area is made of 1800D material with multi-row reinforced stitching, making it very durable, and you also get kneecap reinforcements and two-point knee ventilation. The laminated Amara inside the knees offers soft yet tough grip - and is even machine washable for your convenience! Completing the package are a micro adjuster waist belt and 180 ̊ silicone grip to ensure a very solid fit. 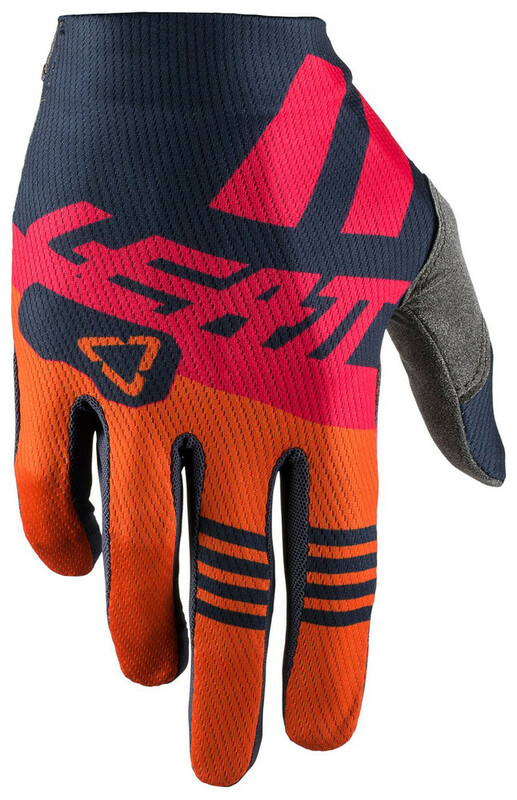 The Leatt 1.5 GripR Glove is light and minimalistic, with good airflow and a great fit. An all-new MicronGrip pre-curved, seamless palm makes this a stealth glove, so comfortable that you might even forget that you are wearing them. 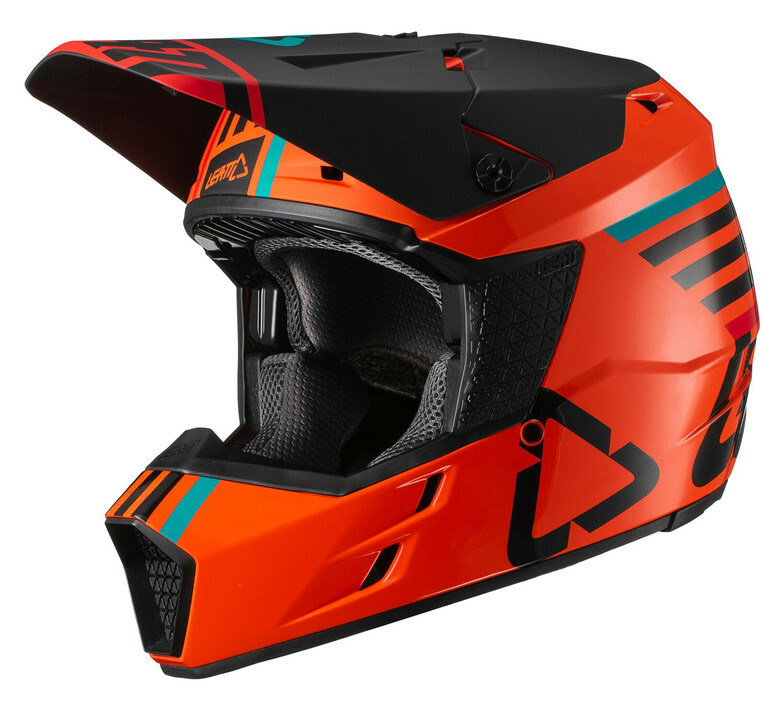 The Leatt GPX 3.5 Helmet (shown here in Ink/Orange) is DOT/ECE certified, and features 360° Turbine Technology. The helmet shell is lined with flexible 360° turbines, which are constructed to absorb energy, and to reduce brain rotation and the possibility of a concussion during a crash. Need more info or shopping options? Check out the full lineup at leatt.com. Leatt has taken over the marketplace that ALIAS left in my opinion. Great looking gear, great price, and fits great. leatt me win this please! Lot of gear companies starting up even though the sport is supposedly dying.? I love the helmet, and could always use a spare!